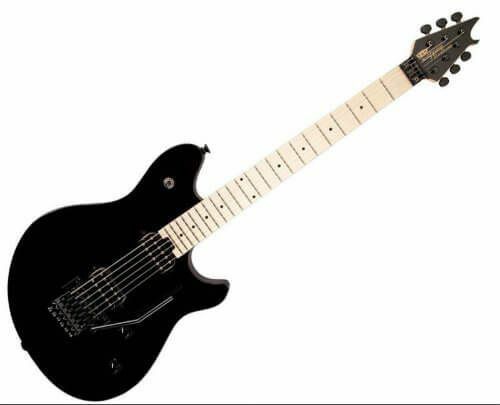 The Predator™ Plus ST electric guitar is a new stringthrough- body version of the popular electric guitar. The Predator Plus is also available with a Floyd Rose® tremolo bridge. The Predator Plus ST features a multi-adjustable bridge and string-through-body design and a slightly longer upper cutaway than most double cutaway guitars, giving it a clean design and opening up access to the upper fretboard. The Predator includes two Peavey USA design humbucking pickups, a three-way toggle switch, master volume and a master tone control with a coil tap that changes both pickups from humbuckers to single coils. The new Predator guitar is available in solid and transparent finishes with black hardware and binding around the guitar body. Finishes include gloss black, candy apple red, topaz blue, transparent purple flame top, transparent amber flame top and transparent black flame top. 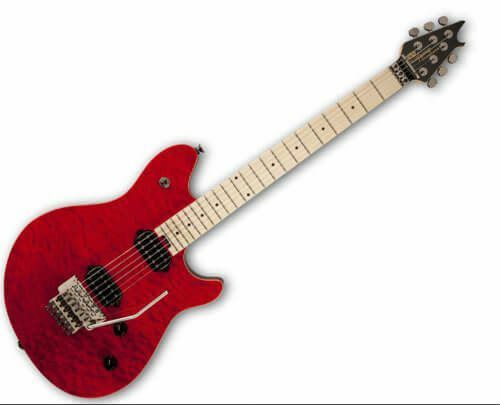 The Dean Custom 350 Electric Guitar has a Floyd Rose tremolo gracing its double-cutaway body. Constructed with a carved flamed maple top and a lightweight basswood back, the guitar boasts a 25½" scale length bolt-on maple neck. The 6-in-line headstock is emblazoned with a winged Dean logo. The guitar's 24-fret rosewood fingerboard is decorated with pearl dots and a custom inlay at the 12th fret. High-output DMT humbucking pickups deliver a variety of rockin' tones and a push/pull coil-splitting tone control lets you perform all musical genres by letting you also capture single-coil pickup sounds. A Floyd Rose Special tremolo bridge and a locking nut gives you additional expressive finesse without fear of going out of tune.